Sap: a form of light, the flowing life force in a plant, which is carried in complex chemical compounds suspended in water and drawn up by the sun; as the year progresses it grows full (heavy), and settles. The lightest sap flows down to the roots. 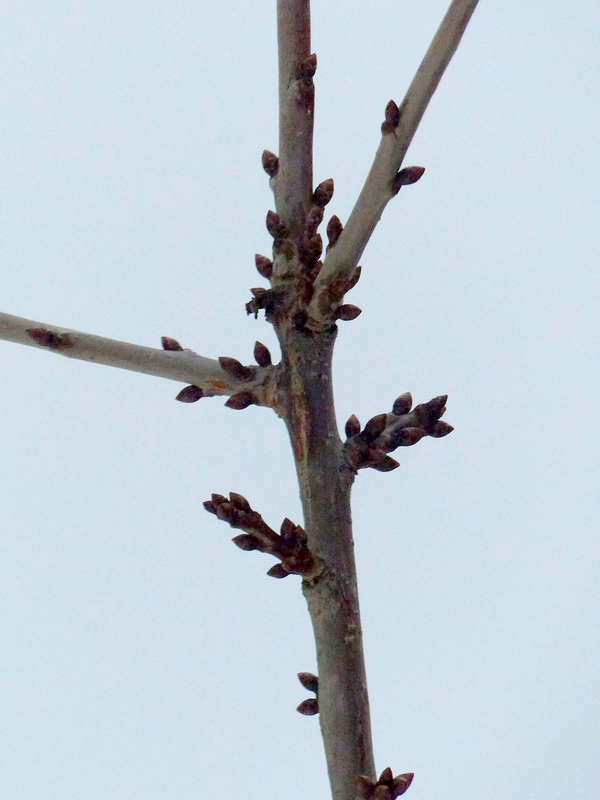 The heaviest settles at the bases of twigs and pushes out buds, which, because of the fullness of heaviness, will open into leaves and fruit in the next season. The life force in this cherry branch is completely united with the sun. What flows in the twigs, in other words, is light. It is the sun itself. It is sap.